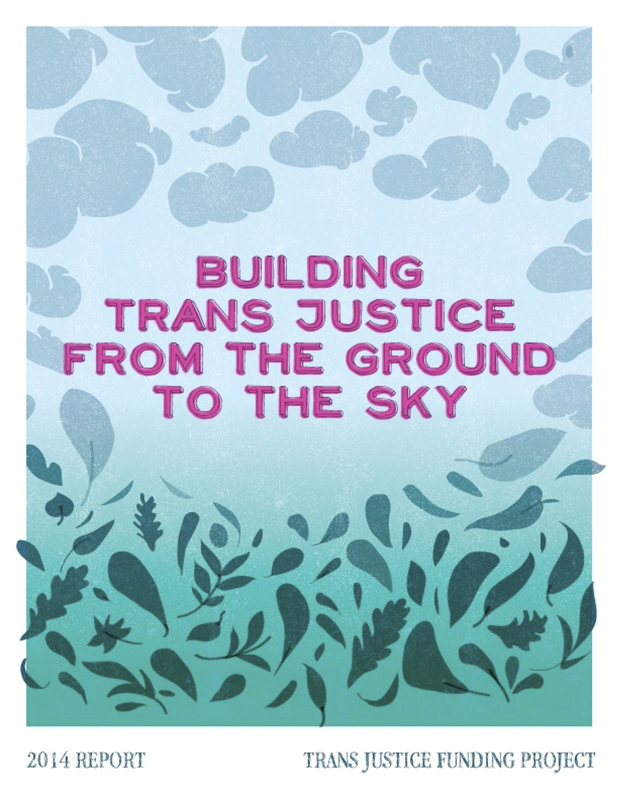 Trans Justice in Action: 2014 Grantee BreakOUT! TJFP volunteer Rebecca Wisotsky chatted over the phone with our 2014 grantees to learn more about what their year has been like organizing their communities, providing public education and services, and working towards trans justice. Our grantees generously took the time to share their stories, including their success and challenges. Come meet some of our incredibly dedicated and inspiring grantees from across the country! “I’m inspired everyday.” This is what Wes Ware, the Director of BreakOUT! said when I asked him to tell me about a time he was inspired by their work of. Really? Every day?! Maybe I’m too cynical. Maybe I’m burnt out. Maybe I’m exhausted by the struggle and need a nap. But, in that moment, I couldn’t imagine being inspired every day. So I pressed Wes for more information. How is that possible? BreakOUT! builds the power of LGBTQ youth ages 13-25 who are directly impacted by the criminal justice system through youth organizing, healing justice, and leadership development programs. Wes broke down the realities for trans youth in New Orleans for me. “The majority of BreakOUT! members are trans young women who are black, involved in street economies, and struggling with jobs and family life. Beyond every day being a struggle, they still continue to come to BreakOUT! and do work on behalf of their entire community. The struggle is real.” These members’ investment in the organization’s work is a testament to their resilience. I was starting to understand where Wes’s daily inspiration came from. The struggle is real. Brought together by their shared experiences with injustice and oppression, the members of BreakOUT! have built a deep connection with each other. But Wes also wanted to make sure that this connection is not romanticized. “BreakOUT! feels like family,” he explained. And with family comes both beautiful moments and challenges. One beautiful moment was the recent release of their “We Deserve Better” report. BreakOUT! wants to make sure that trans youth of color’s stories are uplifted in this recent report and that their youth members are consistently reminded of their rich legacy of struggle against injustice. 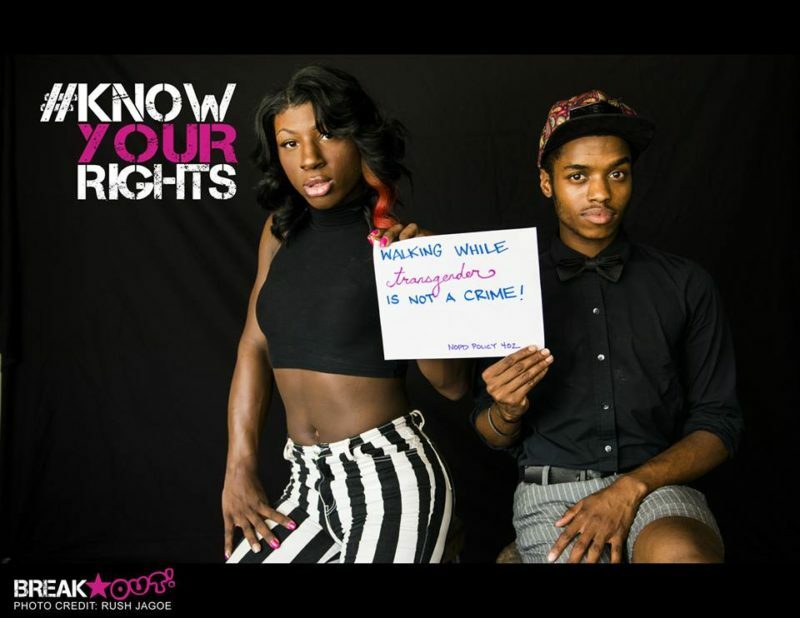 They are also educating the general public about the long history of queer and trans people of color organizing and seeking to end discriminatory policing practices, particularly for black transgender young women in New Orleans. As the mainstream TV cameras once again disappear, BreakOUT! and many other grassroots communities know that the story of racial profiling, militarizing of police forces, and unjust court proceedings continue for black, brown, low income, immigrant, youth, and queer people. Our communities’ cameras have not turned off. Our realities continue. BreakOUT! remembers that many people who have been murdered by the New Orleans police never had a day in court. They wrestle with the fact that so many black and brown trans women are murdered by the state and that their lives are going unnoticed. This hard reality fuels the fire that keeps members organizing. BreakOUT! sees this particular political moment as an opportunity to educate allies about how and why we ended up here and what steps they can take, even after the public rally ends. This is a moment for us all to be politicized, re-politicized, question everything, and create collaborations and strategies. 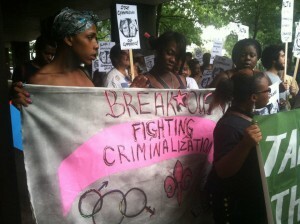 The struggle is real and small, underfunded trans and queer youth of color groups like BreakOUT! are leading the way. Learn more about how they are doing it at www.youthbreakout.org. 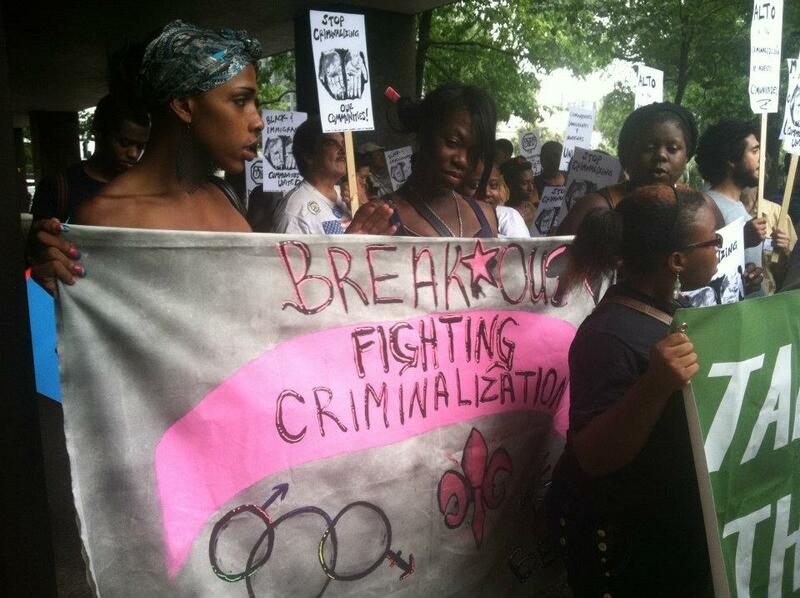 Comments Off on Trans Justice in Action: 2014 Grantee BreakOUT! As I was settling down in my usual coffee shop in Brooklyn, getting ready to speak with Julian Long from Transgender New Hampshire (TG-NH), I was feeling a bit sheepish. I didn’t know much about the state of New Hampshire or the experiences of trans people living there. So I did a bit of research about the great state of NH and here is what I found out. New Hampshire is the 5th smallest state with a population of 1.3 million. Only an estimated 38,000 people out of that 1.3 million publicly identify as LGBT. * Boston, the nearest big city and the place with the most support and medical resources for trans people in the area, is not accessible to many New Hampshire residents, especially those in the western and northern regions of the state. Why all the numbers? I wanted to get my head out of that Brooklyn coffee shop (which, at the moment, felt like it had a population of 500) and think about what it might mean to live somewhere so rural that even if there were other trans people nearby, they might not be out because of hostility in their local community. It’s hard to say what the trans population in the state of New Hampshire is, because as Julian pointed out to me, New Hampshire is comprised of many low-population-density, fairly rural regions, which have few resources for LGBT communities in general and almost none for transgender communities specifically. That’s why TG-NH works to build connections and bring badly needed resources to trans people throughout the state. Starting with the idea that change begins at the grassroots level, TG-NH has held four state-wide regional meetings over the last year to grow local community, bring people together, and share resources. Because the southeastern part of the state is more densely populated and is also where the University of New Hampshire is located, they have had more success organizing regionally there. The northern part of the state is a mountainous region where travel can be tough, especially in the winter. And throughout New Hampshire there are many sparsely populated areas where it is hard to hold an event with significant turnout without requiring people to drive long distances. TG-NH is still working hard to get regional meetings off the ground in those places. Having a strong online presence has helped with rural organizing, visibility, and connectedness to community when people can’t always reach each other in person. TG-NH has also been working to tackle state policy issues. Recently they collaborated with the Gay and Lesbian Advocates and Defenders to work on getting the city of Portsmouth, NH to adopt a non-discrimination policy for transgender people. “Fighting discrimination not only provides crucial protections to an extremely vulnerable and marginalized community, but it benefits the whole community,” Julian explained. The policy was passed in March of 2014. For only being 2 years old, TG-NH has made huge strides! The struggle continues as they are now tackling the DMV’s policy for changing gender markers on IDs. Along with TG-NH’s great successes over the last two years, challenges persist. They’ve been through some growing pains and leadership transition. They realize that while they are diverse in terms of background, they are not as diverse in terms of state geography. TG-NH is also run solely by volunteers and they are not a 501c3, which can make fundraising tough. Julian stressed that “keeping our people fed, housed, and in jobs” remains one of the greatest challenges. “Sometimes we just need to talk to one another,” he explained. When I asked Julian what people could do to support TG-NH, he answered with an official call to trans people in New Hampshire to get involved with TG-NH’s steering committee. They are especially seeking people who know local trans resources, who can connect to other trans people in their own community, or have some non-profit experience. 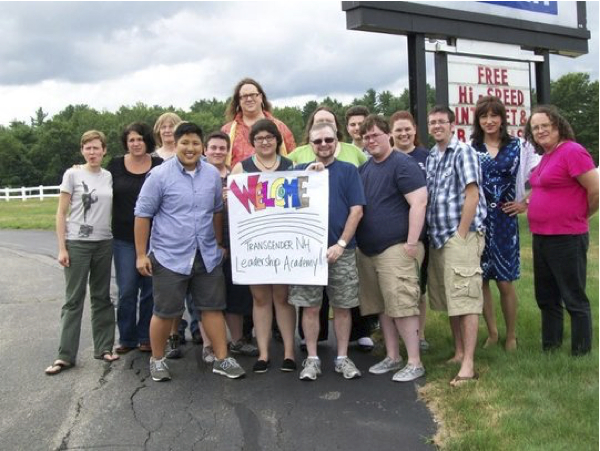 TG-NH believes strongly in being an organization that is led by and for trans people. But local non-trans allies, they need your help too: TG-NH needs space to bring people together in their own regions, and to host potlucks and meetings, so hand over the keys to your meeting rooms! Share your resources! If you want to get in touch with TG-NH, email them at TransgenderNH@gmail.com or visit their facebook page here. The TJFP 2014 Report is Here! It’s hot off the press and waiting just for you! 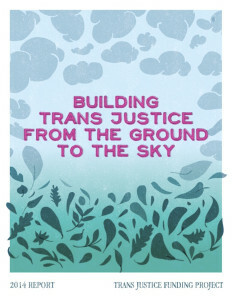 The 2014 Trans Justice Funding Project report is FULL of information about our awesome grantees, a directory of trans justice groups from across the U.S., articles about trans women of color leadership and disability justice in philanthropy, a Grassroots Theory of Funding, updates on our unique structure and so much more. You’ll want to read it, cover to cover. Please share widely. Comments Off on The TJFP 2014 Report is Here!